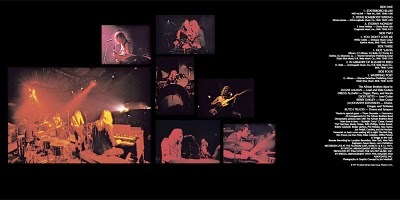 March 12th and 13th 1971, The Allman Brothers Band, who debuted their first album a mere 2 years earlier, took the stage at the Fillmore East in NYC. What ensued was what is often hailed as one of the best live albums of all time. It remains one of the Brother’s best selling albums to this day. At the time of its release, a live, double LP, with 2 songs that take up one whole side of the record, was unheard of. Besides the Brother’s being at their musical and creative peak, producing and engineering genius Tom Dowd lended his services to the live shows, skillfully revealing the bands’ musical brilliance. The dual guitar interplay between the legendary guitarists Duane Allman and Dickey Betts are poignantly showcased in what I consider to be Duane Allman’s most amazing and captivating work. There are several (ok, many) points in the Fillmore East ’71 shows that are simply so incredible that, when listening, all other things, everything else that is going on in the world at the time, fall to the background, and the band simply takes over your life. This album is the perfect snapshot in time and it proves once and for all that Duane is the best slide guitar player of all time. If you want to catch the best american blues rock band at its best, pop in on the turntable, and let it spin.